Tom Killion is in his studio on Inverness Ridge, describing the process for making his elaborate woodcut prints. First, there are hours of sketching and note-taking in the wild. Then later, maybe years later, he’ll hand-carve a “key block” of one of those scenes into a sheet of Japanese all-shina plywood. Above: Tom Killion in his studio. Photo: Klea McKenna.If the print is to be in color, each hue in his hyper-real offering will require a different carved color block and a separate run through his 40-year-old cylinder proof press. Some prints need 10 to 12 blocks. “Then, depending on how the first layer of color, your foundation, interacts with the next colors, the print takes off in its own direction,” says Killion. 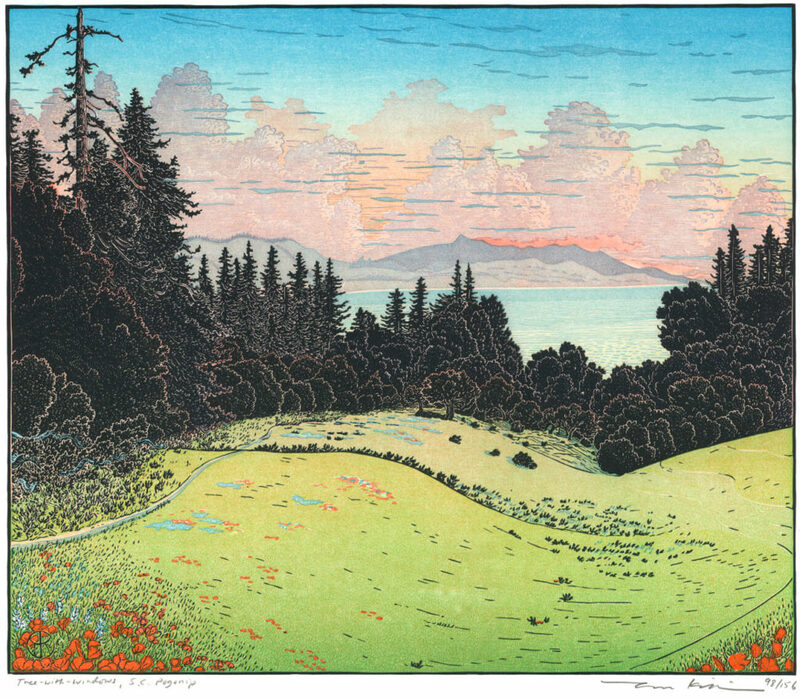 Killion, raised at the foot of Mount Tamalpais, was inspired by Hokusai’s Thirty-six Views of Mount Fuji; his own first layer were woodcut prints he made of Mt. Tam. 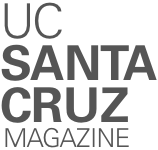 Next came UC Santa Cruz, where, during what he called the campus’s “golden age,” he studied fine book making with the unconventional printer Jack Stauffacher. Inspired by friends and UC Santa Cruz poet-in-residence William Everson, a Beat poet who, in 1975, created a fine-art book of poetry titled Granite and Cypress—“the most beautiful book created by anybody at UC Santa Cruz,” Killion says—he used the Cowell Press to craft his first book using his Mount Tam prints that same year. A doctorate in African history from Stanford followed, along with work in an Ethiopian refugee camp and travels with rebels in war-torn Eritrea. But Killion’s “key block”—the light-lanced landscapes of Northern California—lured him back. Over the years, he’s turned out scores of prints and six books. His most recent volume, California’s Wild Edge, is the basis for a traveling exhibit, which is showing at the Santa Cruz Museum of Art and History through April 22. His next project will focus on treescapes: another layer in an artistic life.